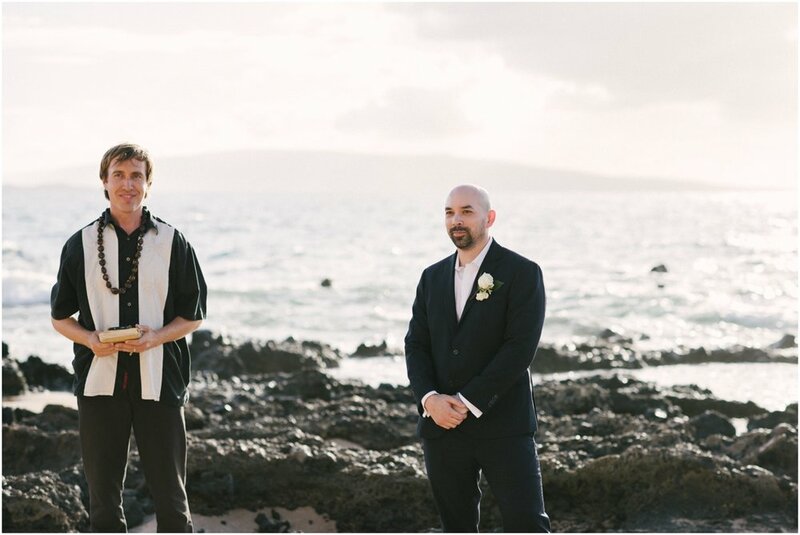 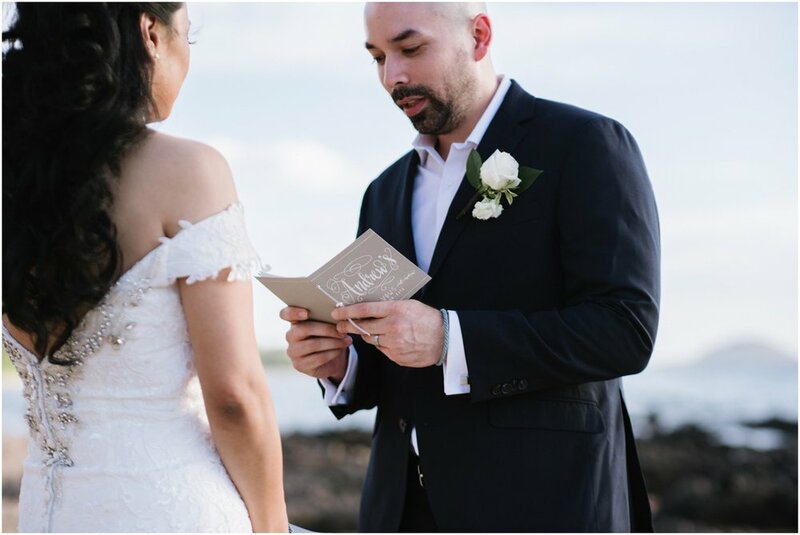 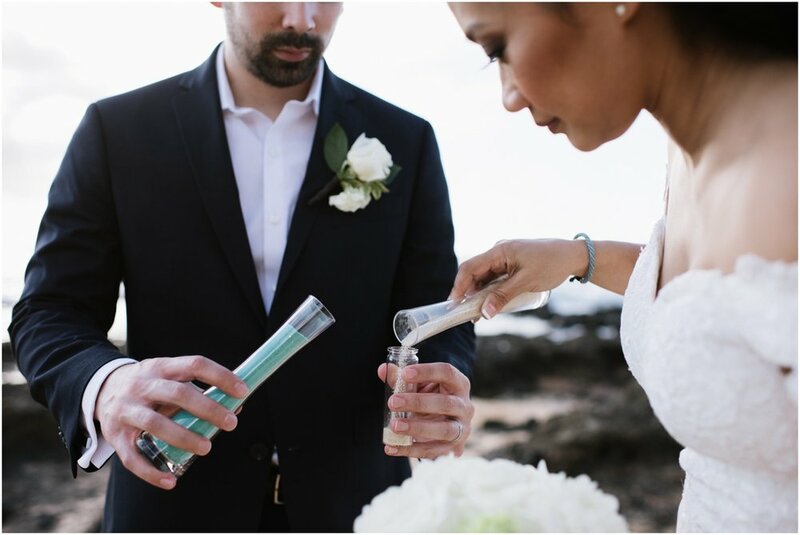 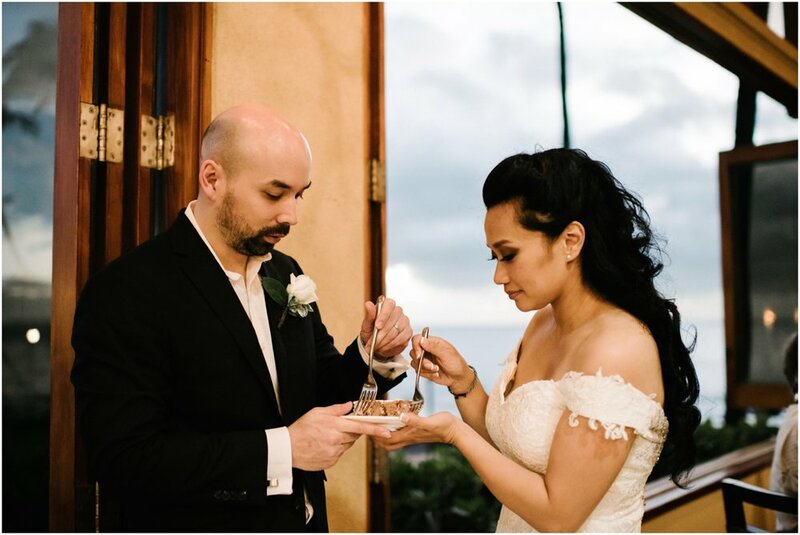 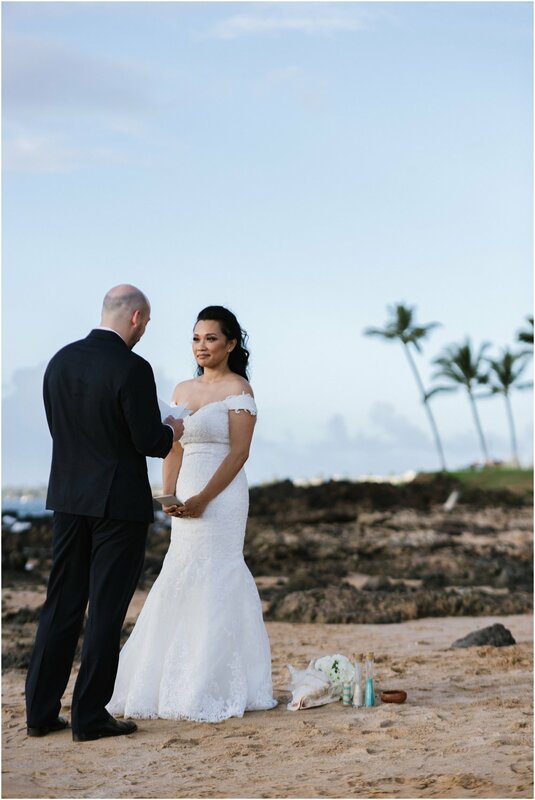 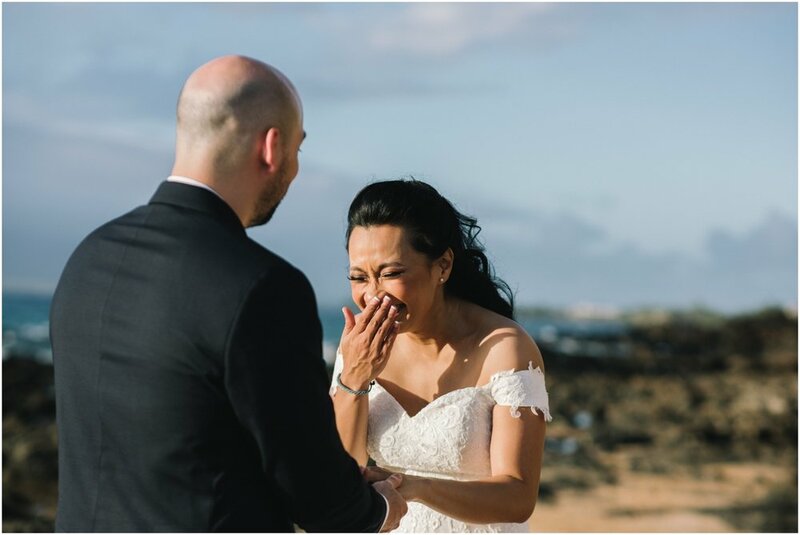 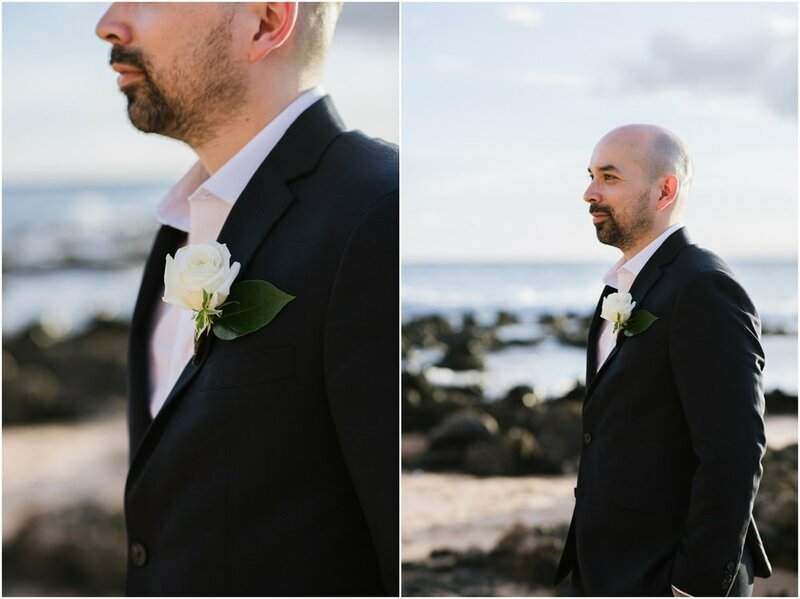 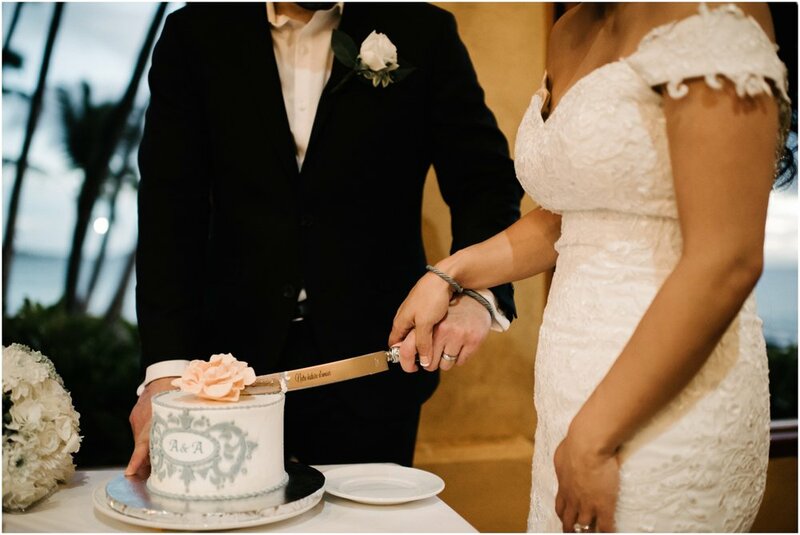 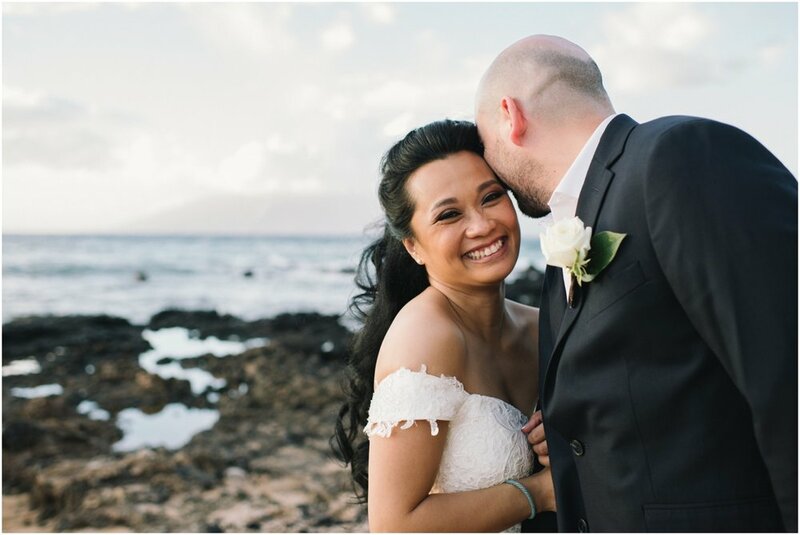 Lynn and Andrew planned on getting married at Kapalua Bay and having a romantic dinner at Merriman's afterwards, but due to inclement weather we had to change locations a couple of hours before their wedding. 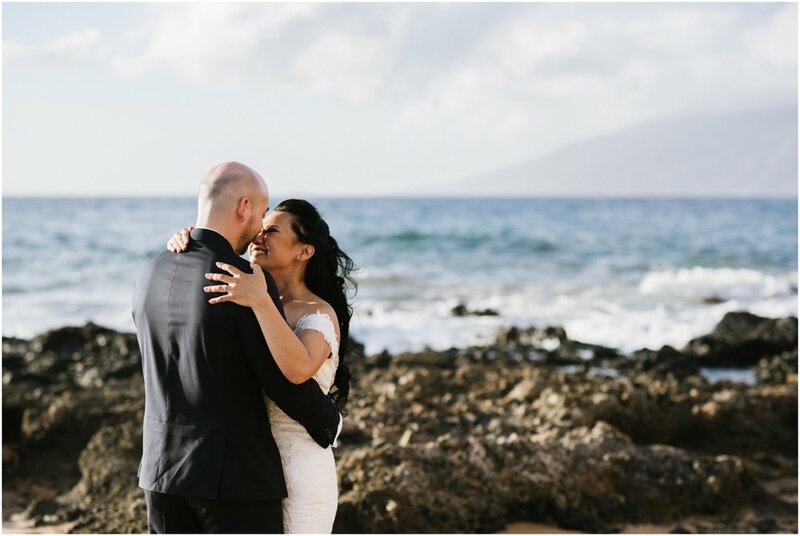 Thankfully the weather was perfect in South Maui! 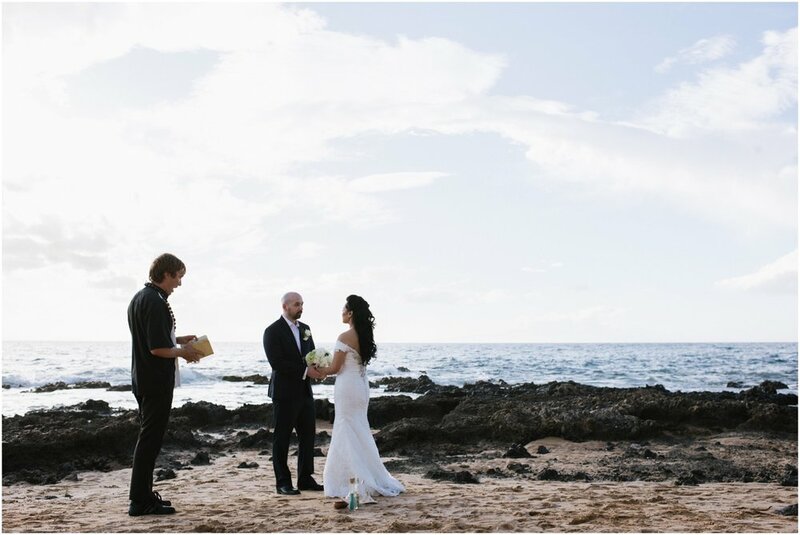 I was so happy that the sun was shining for them. 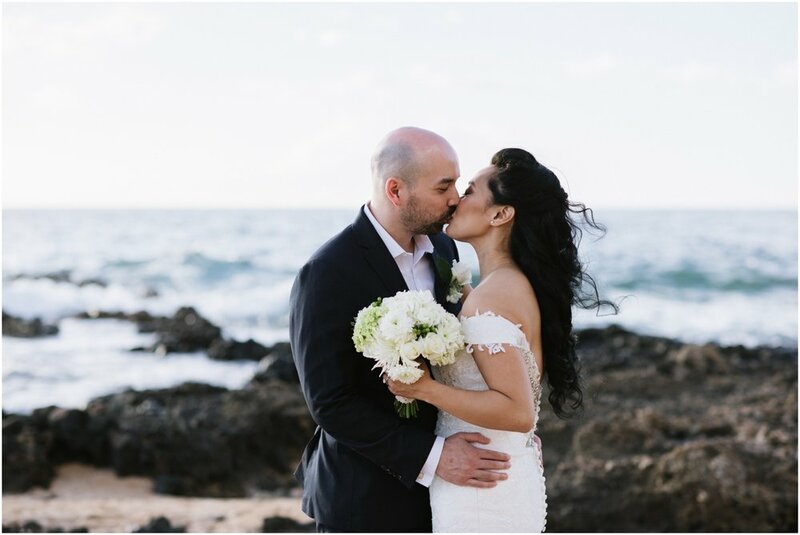 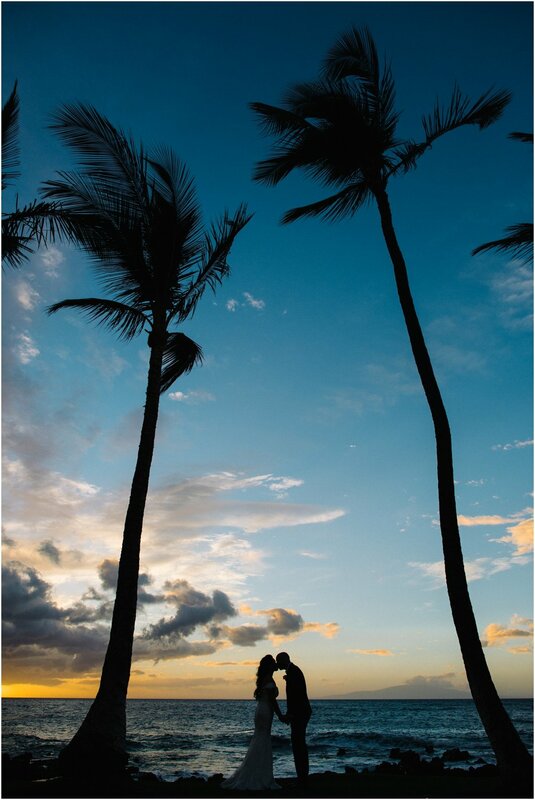 We found a nice spot among the lava rocks and palm trees at Keawakapu Beach in Kihei for their intimate Maui elopement. 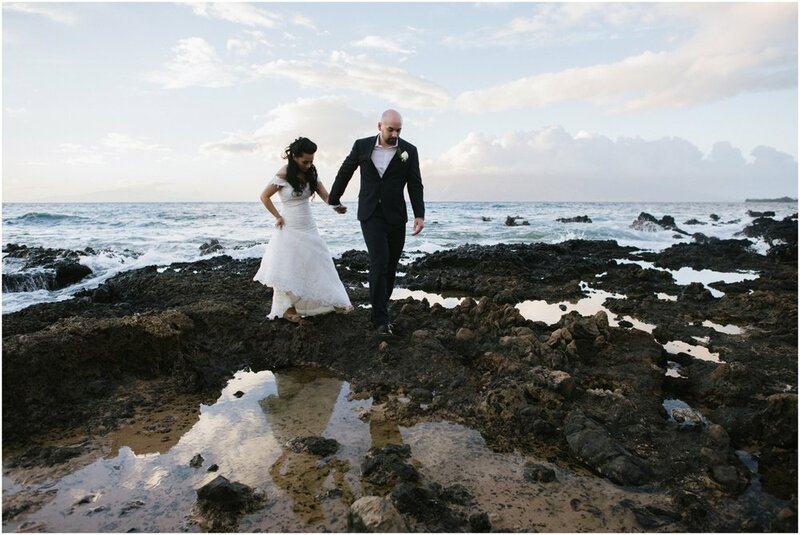 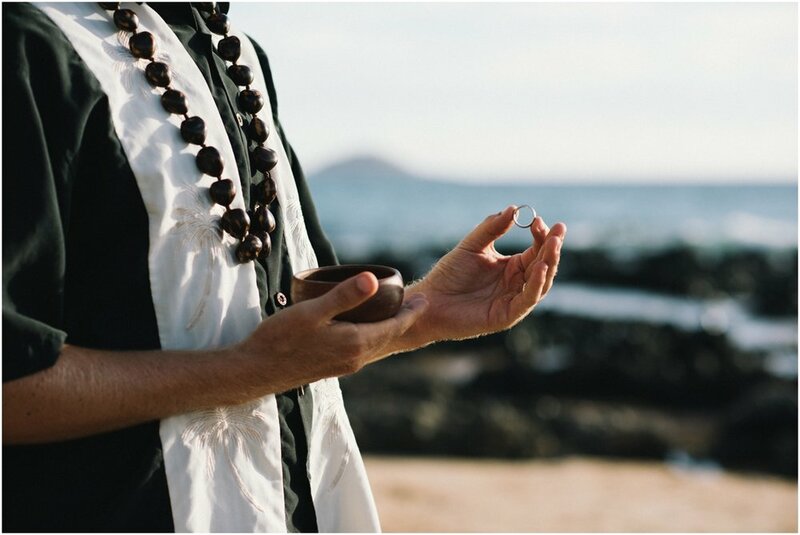 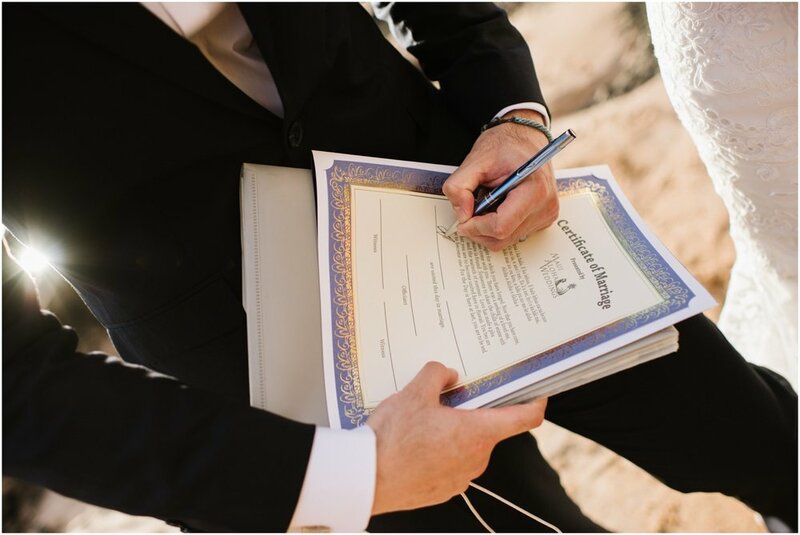 book your maui elopement today! 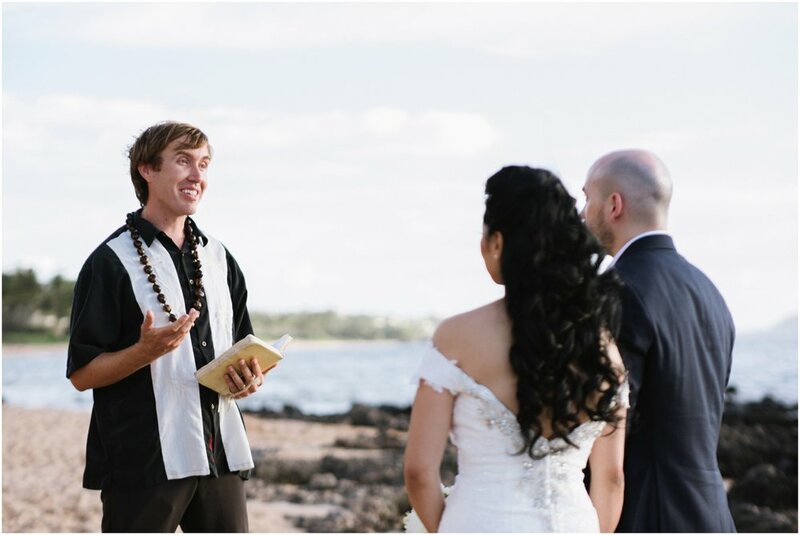 also available for weddings, elopements, + adventure sessions on kauai, oahu, big island, or anywhere else in the world.